Little Beary Sweet friends do not want to go to bed, they want to keep playing and have fun. But the sun is sinking and it is time to go homeSweet dreams little one! * Muslin Wrap Size: 120x120cm. * Prewashed Soft Bamboo Viscose/ Cotton Muslin. 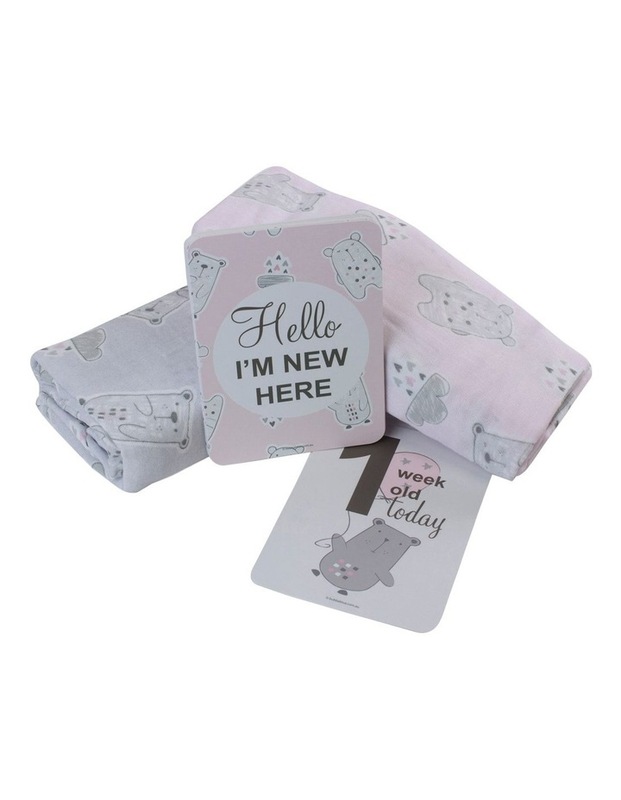 * This essential pack of muslin wraps features two adorable Beary Sweet prints in soft greys and pretty pinks. * Our soft Muslin Swaddle Wraps will secure most babies for a comfortable & peaceful rest. * Includes 18 milestones cards to capture every moment of your baby's growth. * Co-ordinating accessories also available in this range.